Comments: New, unread, and unused. Comments: Used - Good. **RECEIVE IN 2-3 BUSINESS DAYS WHEN YOU CHOOSE EXPEDITED SHIPPING! ** SUPPLEMENTS: ACCESS CODES, CDS, WORKBOOKS (EVEN THOSE NOTED IN THE TITLE OF THE BOOK) ARE NOT GUARANTEED. Expedited shipping 2-3 business days; Standard shipping 2-14 business days. Ships with delivery confirmation. Comments: Used-Good. **RECEIVE IN 2-3 BUSINESS DAYS WHEN YOU CHOOSE EXPEDITED SHIPPING! ** SUPPLEMENTS: ACCESS CODES, CDS, WORKBOOKS (EVEN THOSE NOTED IN THE TITLE OF THE BOOK) ARE NOT GUARANTEED. Expedited shipping 2-3 business days; Standard shipping 2-14 business days. Ships with delivery confirmation. 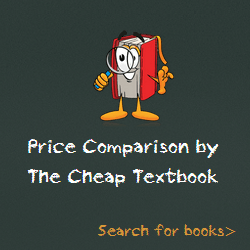 This entry was posted in Book and tagged 1118129423, 978-1118129425, Top Textbook 2018 on January 9, 2018 by Textbooks.